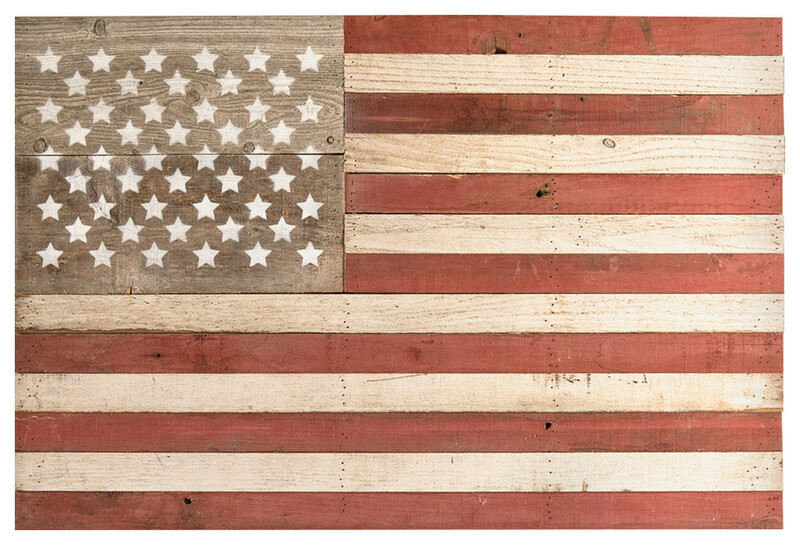 Show your patriotic pride with the character of reclaimed wood in your home. This unique art piece will the focal point of any wall. Reclaimed from torn down structures, this red and white wood gives each flag character and individuality. Crafted completely by hand with 13 stripes and 50 stars, no two are exactly the same due to the nature of the wood.. Perfect for indoors or out. Large 36" x 24" size, all pieces handcrafted from unique pieces of wood and each will differ slightly. 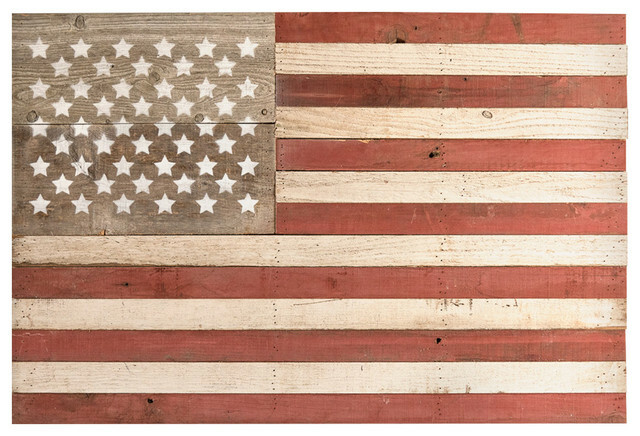 Made in America, from wood reclaimed in America. Includes hardware affixed to back suitable for hanging. W 36" / D 24" / H 2" / 9 lb.